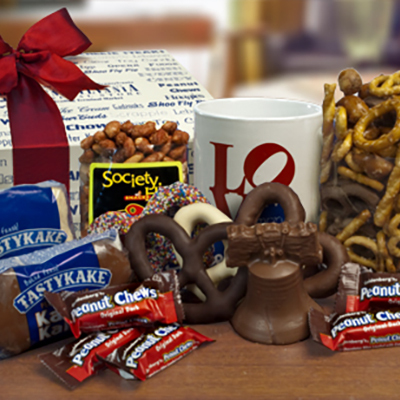 Send them a little love, "Philly" style. 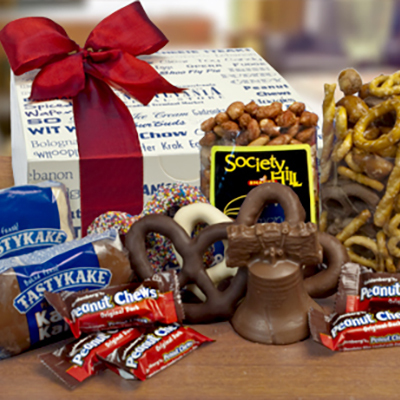 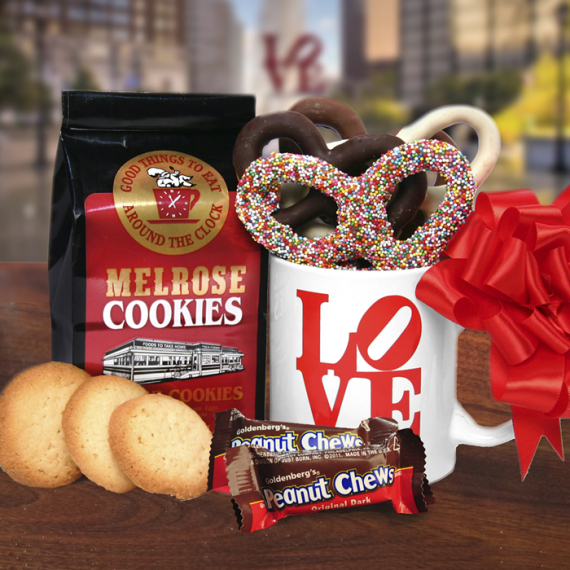 This gift includes Melrose Diner Butter Cookies, Asher's Chocolate Covered Pretzels, Goldenberg's Peanut Chews and a Philadelphia Love Mug. 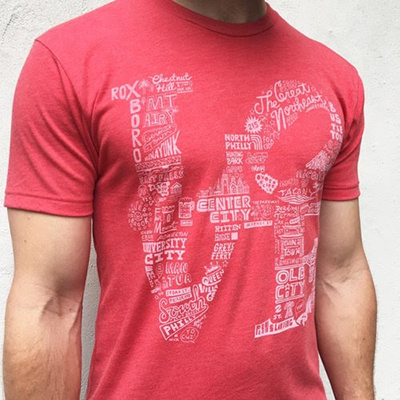 **If shipping to a warm weather destination we will substitute the summertime version.